Women's photographic stripe midi dress from Marc Jacobs with a lightweight, fluid silhouette. 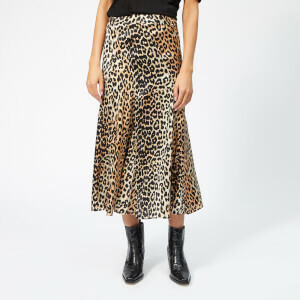 Combining leopard and floral prints with bold stripes and abstract panels, the sleeveless dress showcases a V-neckline, a wrap-style front and a studded waist belt. A rear keyhole cut-out and self-tie closure also feature. Complete with a small sheer mesh insert near the armhole.